Looking for a teacher appreciation gift idea? 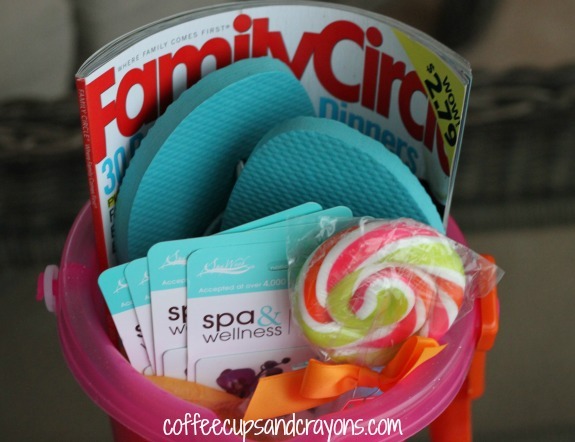 A summer relaxation bucket is easy, cute, and can be customized to fit any budget! A fun gift to show your teachers just how thankful you are for all of their hard work! 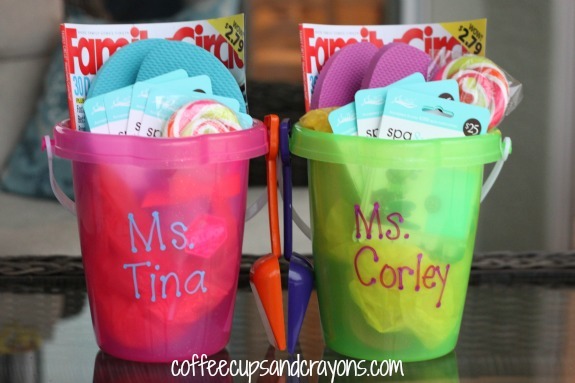 The summer relaxation buckets we put together were a class group gift for our preschool teachers. We filled them with fun things that they could use to relax and unwind during the summer. You could add anything you like, but we used a bucket and flip flops from the Dollar Store, spa gift cards, a magazine, and a lollipop. The flip flops double as a card/autograph book! Kids can use Sharpies to sign their name or draw a little picture on the flip flops so the teachers end up with a personalized pair that they can wear or save as a keepsake. 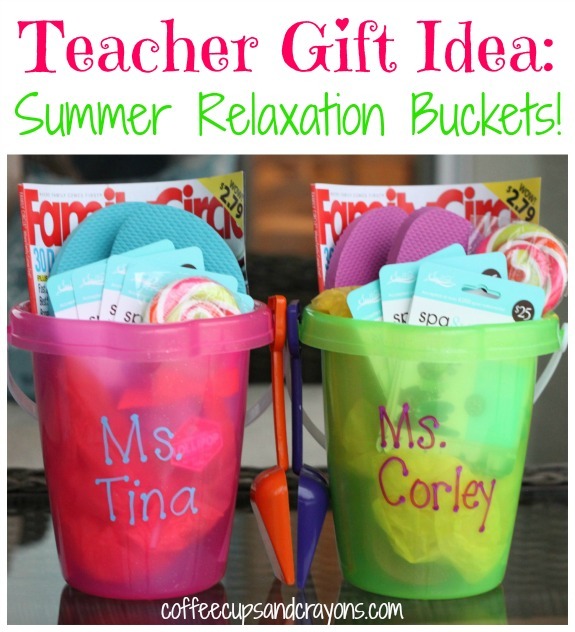 Relaxation buckets are great for the end of the year, teacher appreciation week, or even the holidays! You could get a red or green bucket, a Santa hat, and some candy canes and you’d have a great Christmas gift! Thank you for this idea! My daughter is graduating pre-k this week and she has 4 different teachers who rotate with in the year. I would like to use this idea as a gift for each of them. What can I use to write the names on the bucket? Are these pens waterproof? Can you recommend markers that are? I would like to do this for my class. Great idea! We used all sorts of Sharpies and they hold up pretty well to water although eventually they’ll fade.